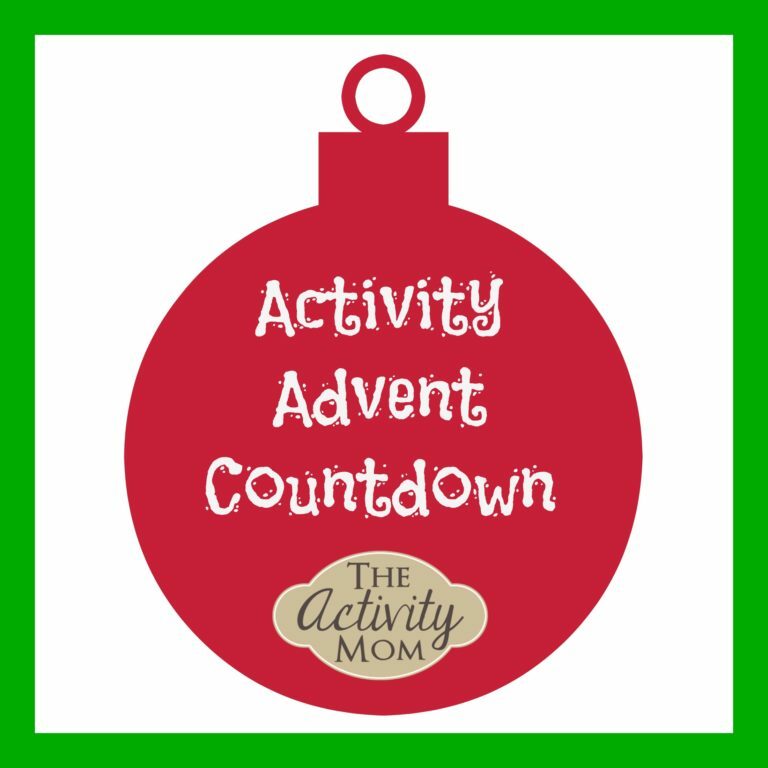 Our annual, printable Activity Advent Countdown is back! 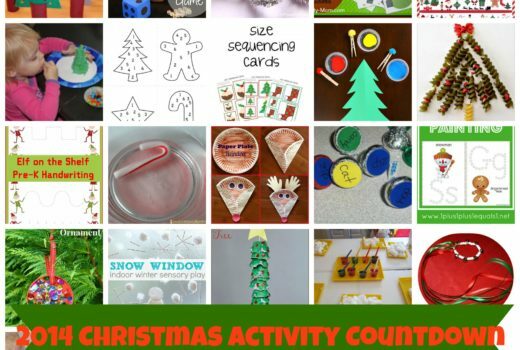 It includes ideas, printables, and resources from around the web to make counting down to Christmas with your toddlers and preschoolers fun and educational! 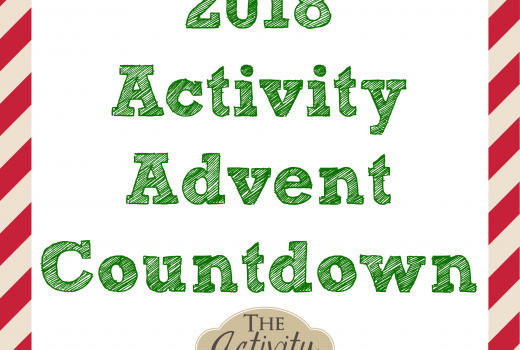 Print the 2017 Activity Advent Countdown. 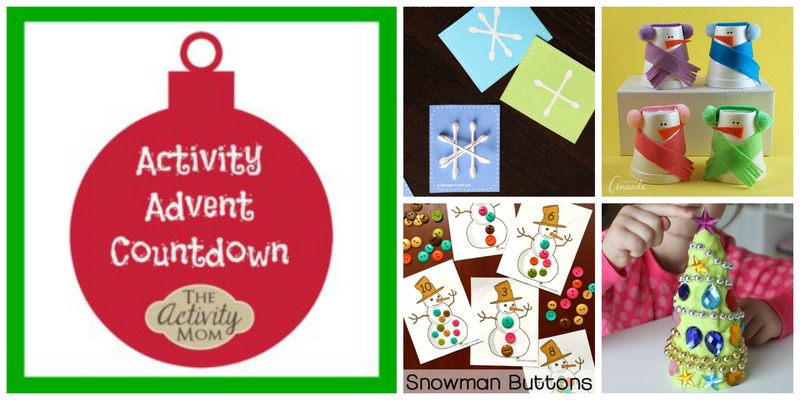 This includes the countdown cards, a list of the activities, and a materials list. Put the cards in a jar and have your child pick a random one out. Attach them to a piece of garland with clothes pins and take one down each day in order. Make a pocket chart with library pockets from the dollar store or by sewing felt into a grid and put the cards in the pockets in order. Pull one out each day. Make a chart with the numbers 1-25 on it. Have your child pick and cross off a number each day. That number would be the activity of the day. Hang the cards from the lower branches of your Christmas tree and let your child pick the activity for the day by picking one to take off of the tree. I print all of the activities and gather my materials ahead of time so that I can just grab what I need for that day. That way the work is done and I can enjoy the countdown with my kids!